I always like the idea of a destination wedding in the same state. You get to travel to a place you might not have seen before and it feels like a mini vacation. Semiahmoo Resort is such a gorgeous place. A few hours North of Seattle and right below the Canadian border. Marta & Sam's wedding day was a warm, clear, beautiful sunny day. 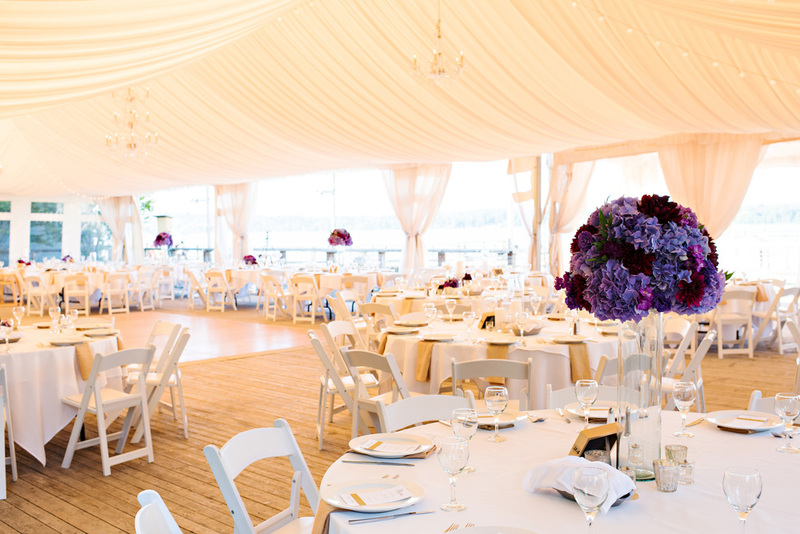 Their friends and family came together to celebrate at a ceremony with the sea as the backdrop, that view was so amazing. 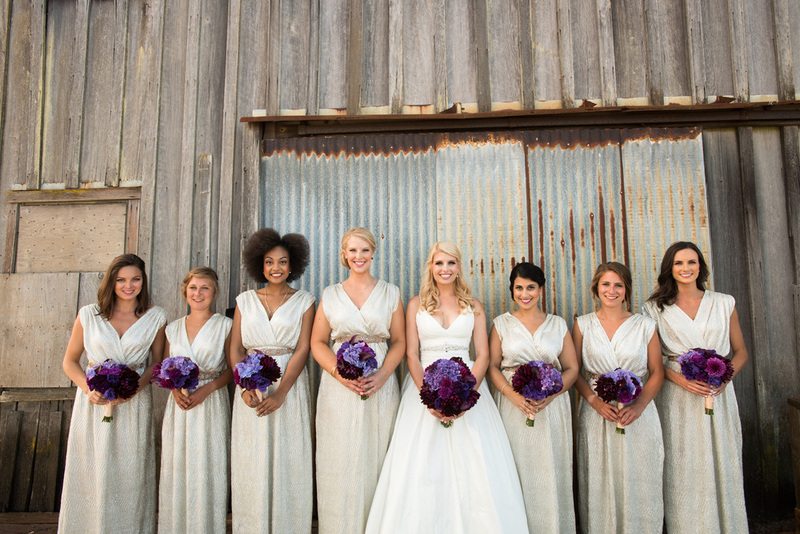 I love the bridesmaids dresses, champagne with sequins and the style! Gorgeous! 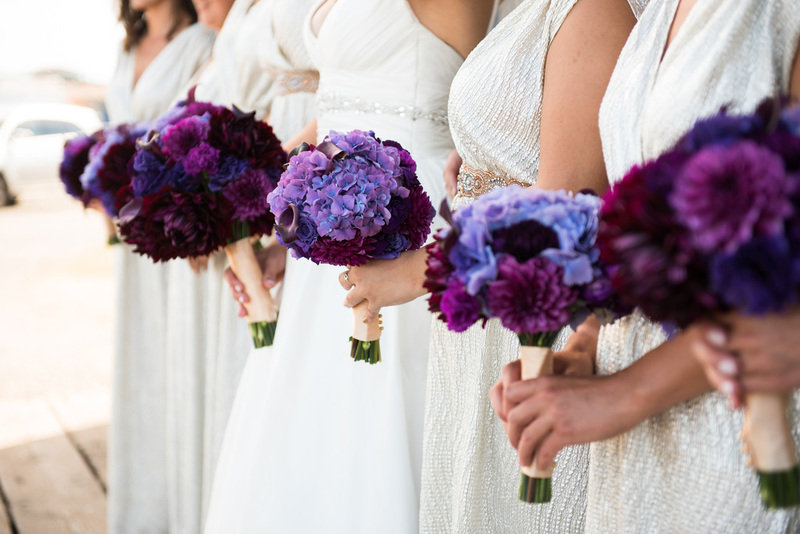 The dark shades of purple bouquets really popped against them. The guys looked very dapper in their suspenders and bow ties. Marta was stunning in her dress! The gorgeous pictures from Barbie Hull Photography captured not only the fabulous bridal party, but all the beautiful spots Semiahmoo has to offer. 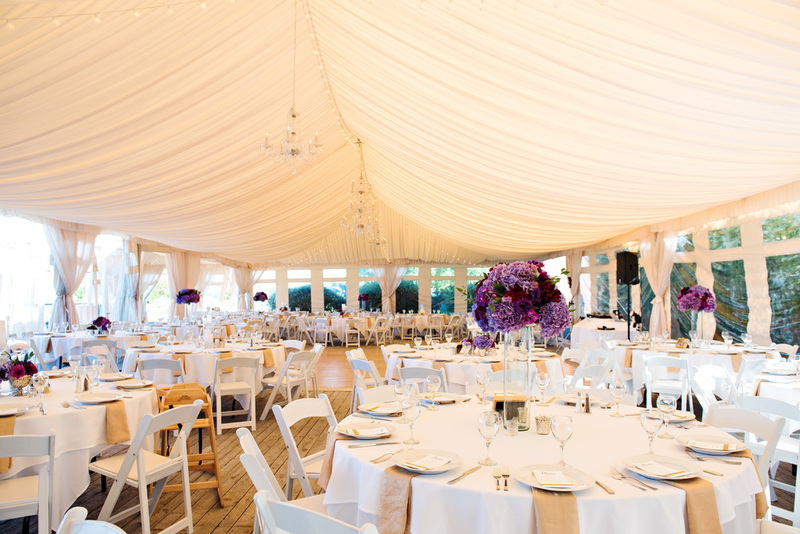 The reception tent was set up for the evening. 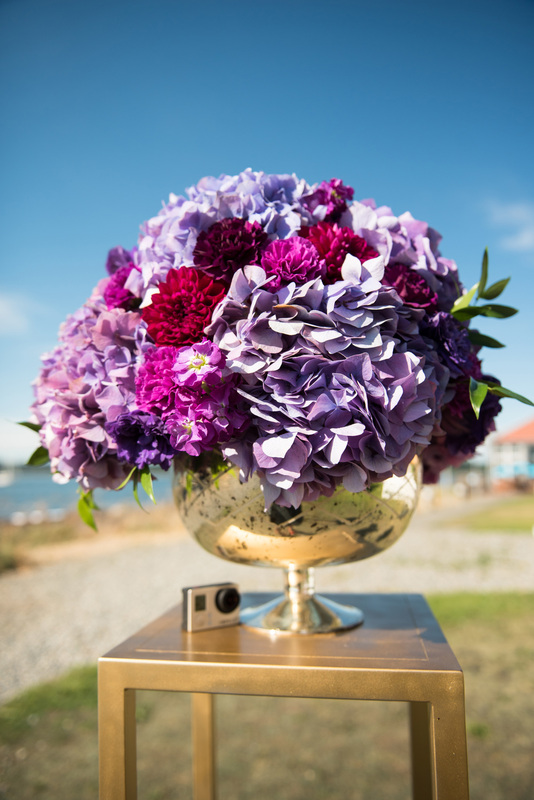 The centerpieces all with shades of dark purple and splashes of candles and mercury glass. It was very elegant and classy. What a gorgeous and smooth day thanks to the venue, their staff and Holly with Perfectly Posh Events!